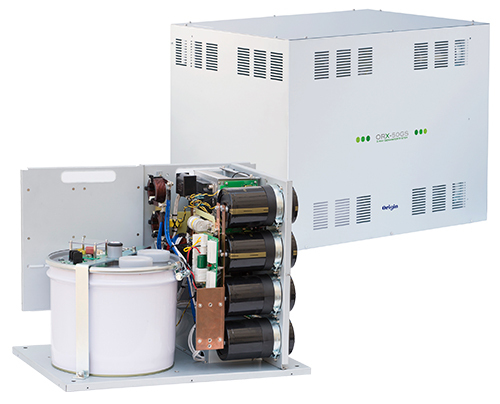 HVDC 7 kVA inverter (migration device) | Electronics Business | Our Business | Origin Co., Ltd. 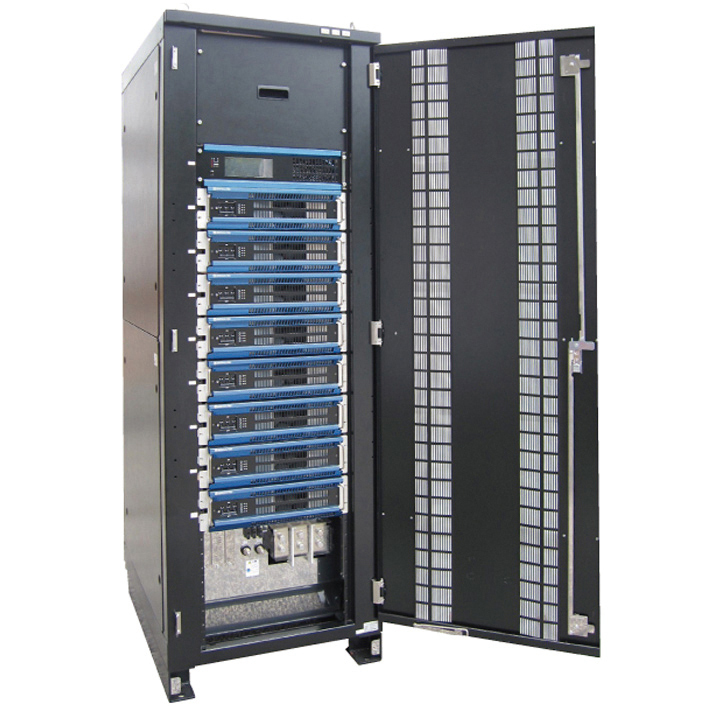 This is a device that supplies power to alternating current input ICT devices in high-voltage direct current (HVDC) systems. 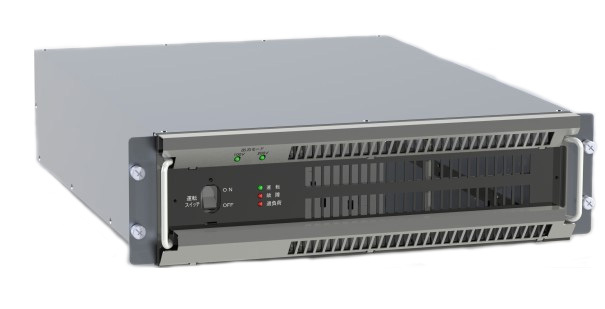 1) The device is 3U in height, and can be mounted onto a 19" rack. 2) The device includes functionality for communicating with the system side. 3) This device realizes optimum control that does not change with time, through digital control.